The big event this week in Papua New Guinea was the State of Origin Rugby League match. 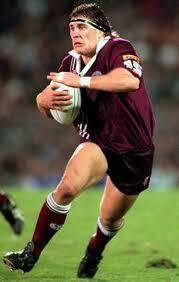 The State of Origin is a series of games between players of the Australian National Rugby League competition. 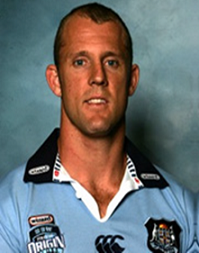 Those originally from New South Wales (like myself) compete with the players from Queensland. And since the rest of the world shows little interest in Rugby League as a sport, it tends to be the best series in the world – even better than International matches. Rugby League is the most popular sport in PNG and the town of Port Moresby has been overwhelmed by “Origin Fever”. 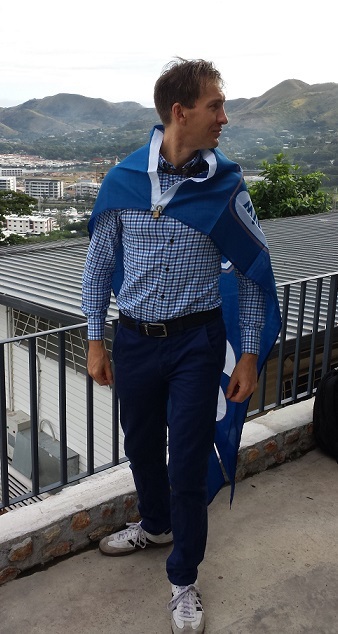 I embraced Origin Fever myself and showed my New South Welsh roots by draping myself in a ‘Blues’ flag all day. People responded to it with amazing enthusiasm. I felt like a celebrity. As I walked along the streets, cars were honking and people were hanging out of the windows giving me the thumbs up and waving their flags. Even the Queensland supporters were enjoying jeering at me. People in the street were yelling out at me – almost every single one of the dozens of people I passed responded in some way. N.S.W. won the first match in the series. This week, it was the second match of three. On the night of the game, I went to the yacht club to watch it on the big screen. 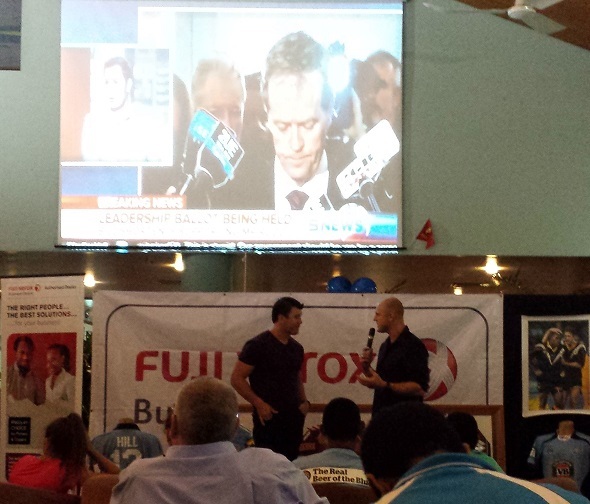 They managed to pull in a couple of Rugby League celebrities for the event – Scott Hill (NSW) and Martin Lang (QLD). It was the same night that Australians obtained a new Prime Minister (without being asked to offer their opinions, in what passes for a Democratic system) with Labor recycling Kevin Rudd to see if he can pull them out of the doldrums. The game ended up being rather dull because the score was tilted too far in Queensland’s favour. In typical PNG fashion, there was a blackout about 20 minutes into the match. The power stayed off for at least ten minutes, so many people left. I caught a cab home and listened to the rest of the game on the radio. Queensland won convincingly to level the series at one match each. Rugby League is widely played here in one form or another. This field near my house is a popular venue for matches. I made the mistake of cutting across the field one day on my way to the gym. I didn’t realise that there were hundreds of people waiting in the grand stand for a match later that day. I began to feel quite uneasy when I realised that the crowd thought the most entertaining thing to watch at that point was ME. As I walked across the pitch they began yelling things like “Hey, white man!” I picked up my pace and was pleased to be across the field and out of the limelight. I walk around the field now when I go to the gym. Continuing on the sporting theme, Port Moresby hosted a fun run last weekend. Apparently, thousands of people participated, with many of them walking to the event at 4 in the morning to arrive in time from the settlements. I chose not to participate as I feel that most things are more fun than running. 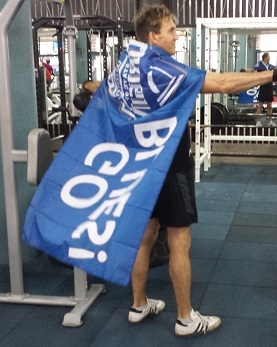 I only run when criminals are chasing me, which does happen from time to time. 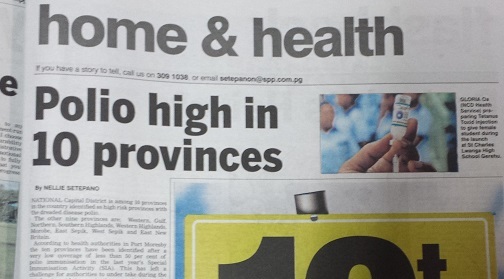 In the newspapers this week there was a story on the high incidence of polio. While this dreadful disease has been eliminated from much of the world, in countries like PNG, it is making a resurgence due to low levels of immunisation. In some parts of the country, fewer than 50% of children receive an immunisation for polio and so this preventable condition is on the rise. 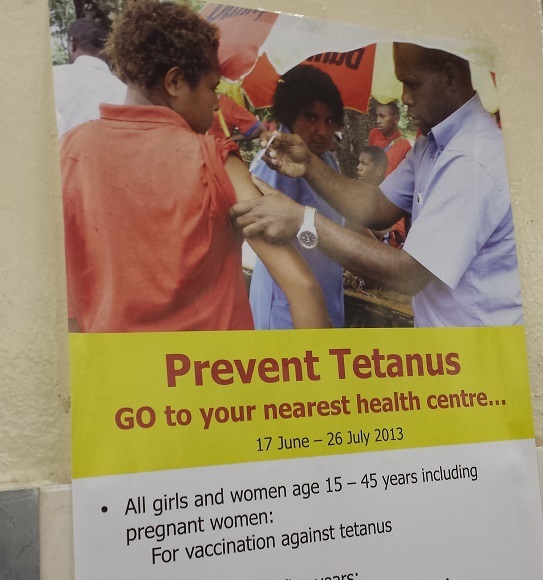 However, free tetanus immunisations are available in some parts of the country at least. In another concerning development, last week four Chinese expatriates were murdered at a market about one kilometre from my house. Three men and a woman were killed in a store – hacked to death with machetes. It’s still not clear why they were killed. The Chinese Embassy has denied claims that there is a Chinese mafia operating in Port Moresby and that this was a gang-related crime. Trenches like this exist throughout the city as part of the storm water system. Unfortunately, they are used as rubbish bins. I watched the selfish woman in the top of this photo just throw the coke bottle into the trench without the least bit of concern over who was going to clean it up. Personally, I think plastic should be illegal in this country. 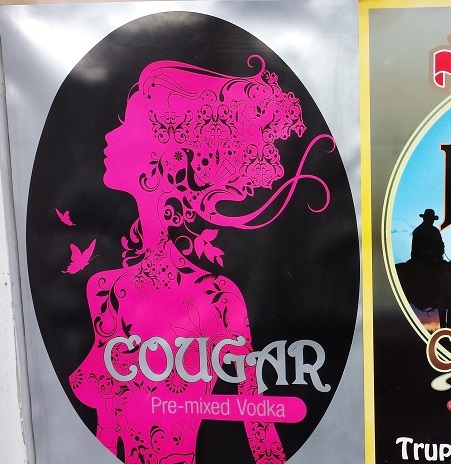 Another dangerous drink to avoid in this country – the Cougar range of pre-mixed vodka beverages. 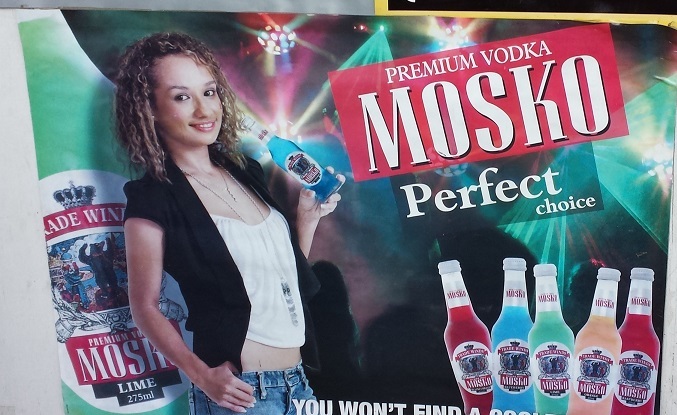 I do find these advertisements interesting though – it says a lot about the place how they advertise products like these mixed alcoholic drinks. 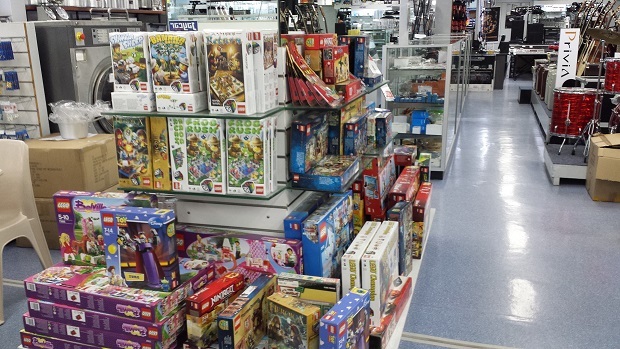 I visited a store called TE PNG this week and I was surprised to see a pile of genuine Lego kits. It caught my attention because stores here are universally stocked with cheap Chinese generic toys. This is the first time that I have seen a quality toy from the developed world for sale here. 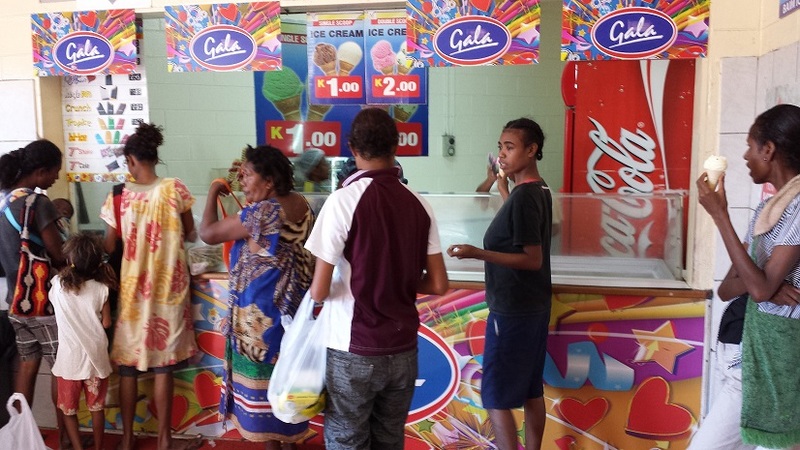 Papua New Guineans are very fond of ice cream. It is remarkably cheap in a place where everything is expensive. A common sight around town is an extended family turning up at a supermarket with about 15 people piled into a pick-up truck (utility) coming into town to buy everyone an ice cream. Among the wealthy families at least. 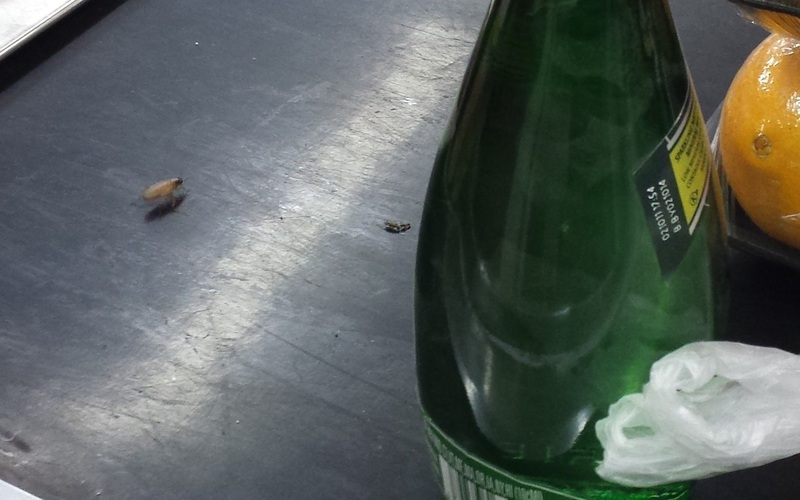 At the supermarket this week, I spotted a colony of insects inhabiting the checkout. I was fast enough to snap a photo this time. 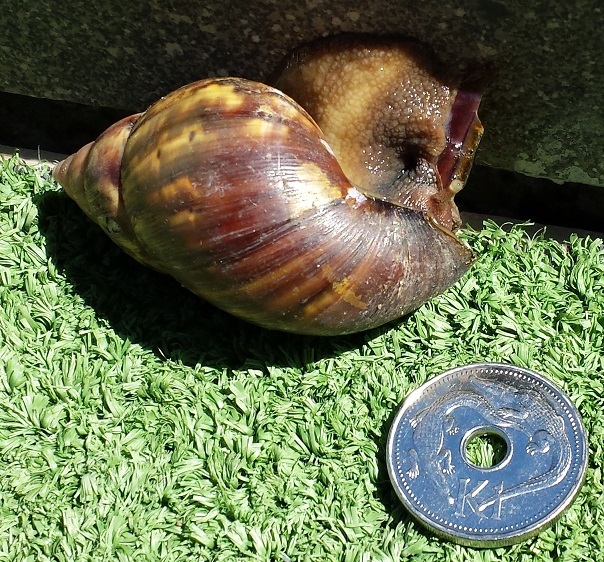 I saw this giant snail by the pool this morning. That one kina coin is about the size of an Australian 20 cent piece, or a Canadian ‘Toonie’. Having a maid is great. I never do the dishes unless I really have to. 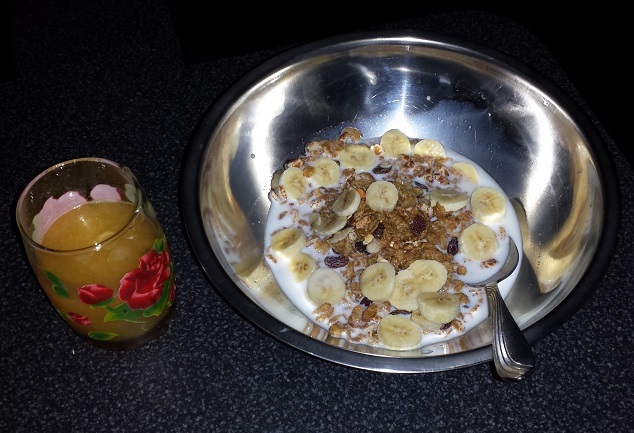 It was a near thing this week – I ate my cereal out of a salad bowl one day. We’re hosting some friends tonight for a barbecue. We went to SVS Koki after work on Friday to pick up the steaks. That is the most dangerous part of town and it is clear that they don’t get too many foreign customers. Everywhere I walked I was greeted by surprised looks, with people giving me their “We don’t get many white folks in these parts” expressions. 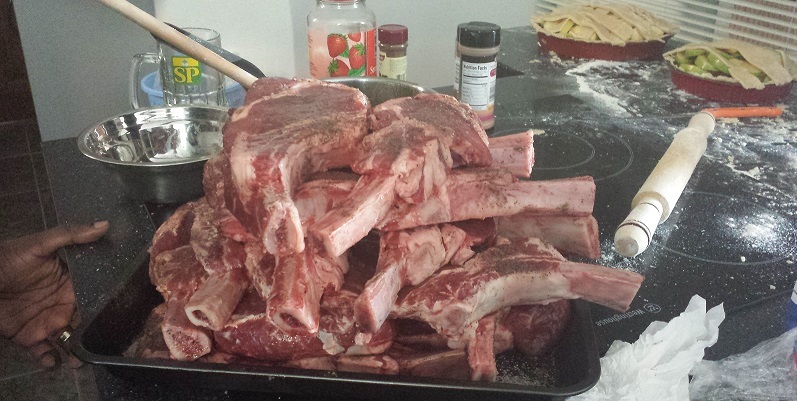 We survived and collected the steaks without incident. 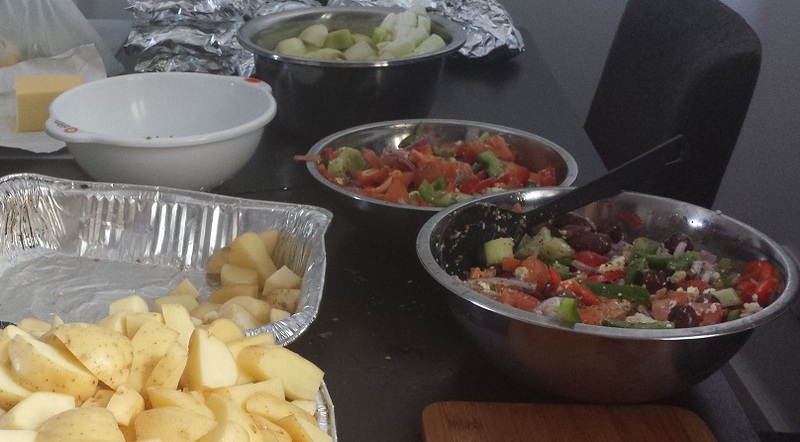 This afternoon was spent preparing salads for our big meal. 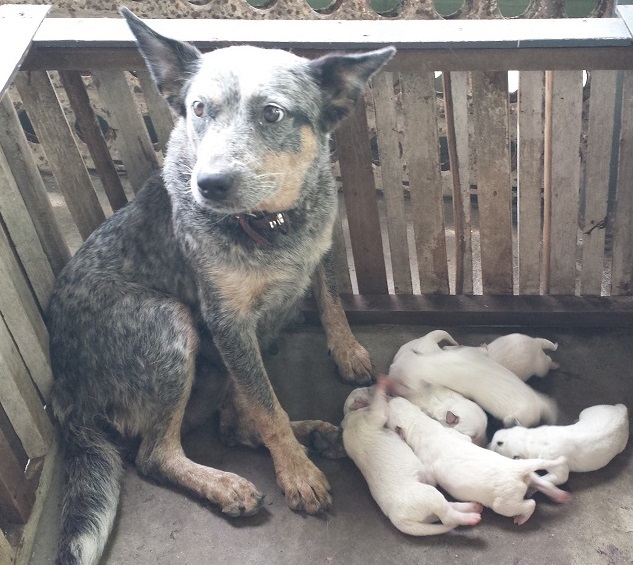 One of the guard dogs had puppies. I would be excited about how cute they are except that this is a regular occurrence at our place. The dogs are always procreating right outside my front door on the porch. I would really rather they found somewhere else. I am tempted to buy this pig though. 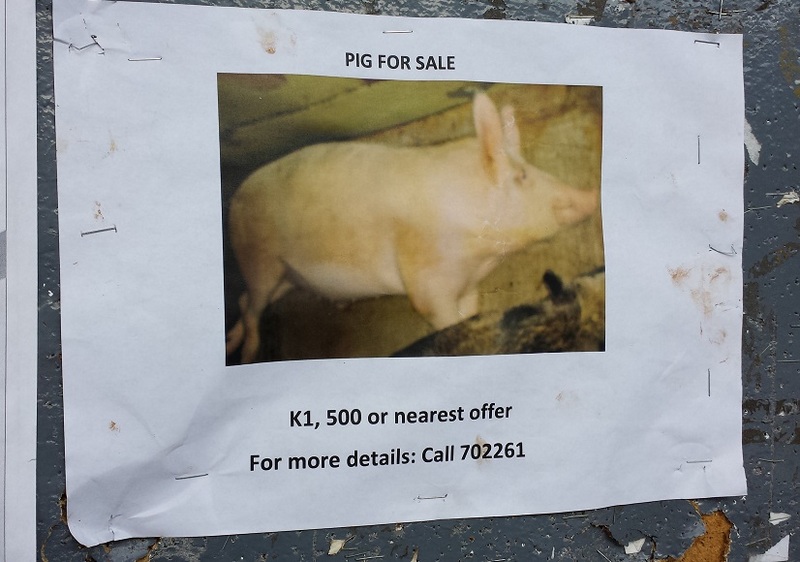 A steal at 1500 kina – or nearest offer. I might call and see how low they’ll go. 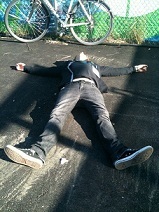 So I’m imagining a young boy who wakes up early Saturday morning. He find a clothes pin and his beach towel to make a cape. Then he finds his father’s welding goggles and some work gloves too. Next he fixes a bowl of cereal and tunes into his favorite Superhero cartoon. Sadly the television is on the blink again, guess he ‘ll play outside instead.